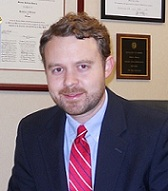 Shawn Reeves is Assistant General Counsel with the South Carolina Department of Social Services, where he practices primarily in the areas of child welfare law, adoption, and foster care. Shawn is also a Certified Family Court mediator. He and his wife, Amy, have three young children and live in the City of Columbia.